Mrs. Mary M. Hawkins, 70, of Hagerstown, died Monday, Nov. 13, 2017, at her residence. She was the wife of the late Bradford E. Hawkins Sr.
Born Oct. 9, 1947, in Hagerstown, she was a daughter of the late Herbert Marvin Clark and Wanda Christine Welch Clark Moore, and stepdaughter of the late Harry E. Moore. 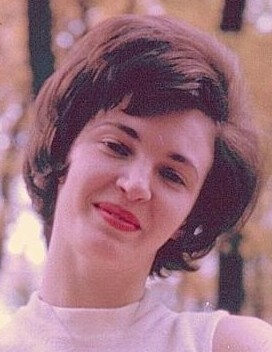 She is survived by her children, Judy A. Wolff and Donald L. Shoop Jr., both of Inwood, W.Va.; her stepchildren, Kim, Darren, Larry, Denise and Bradford Jr.; three grandchildren; 12 stepgrandchildren; numerous great-grandchildren; as well as three siblings, Harry and Charles Clark, and Margaret Shank. The family will receive friends at Andrew K. Coffman Funeral Home, 40 E. Antietam St., Hagerstown on Thursday, Nov. 16, from 10 to 10:45 a.m.
A graveside service will be held on Thursday at 11 a.m. at Cedar Lawn Memorial Park, Hagerstown. Chaplain Jeffrey S. Casto will officiate.